Used on the tuner section of some 5-tube radios. Replacing the tuner grommets on these radios will allow the dial to be centered in the cabinet opening. Zenith used a cupped steel fender washer 3/4" OD top and bottom on this tuner with the rubber bushing in between of course. 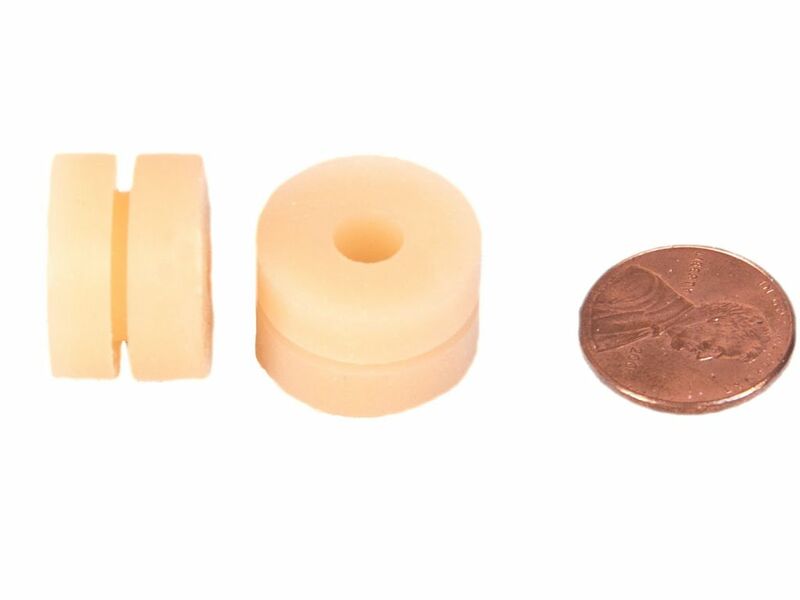 Stuffed into the rubber bushing is a bakelite spacer. It is 1/4" OD and a bit over 1/4" long. After installation, you tighten down the three nuts from below until the rubber is compressed to match the bakelite tubes in the middle of the rubber bushing. Used on models: Zenith 5S127 (chassis 5516), 5A127 (chassis 5517A and 5525A), 6S229 (chassis 5638) and other probably other similar models.